Brady from Classic Rock Mornings broadcasted live from Joe’s Pizza and Subs in Midlothian collecting toys for Masons Toy Box. Mason’s Toy Box is a local organization that collects toys for children in the hospital for the holidays. The goal was to fill the box with toys and that was accomplished. Just to give an example how successful this was, there have been boxes sitting in stores for over a month with no toys at all put in them. 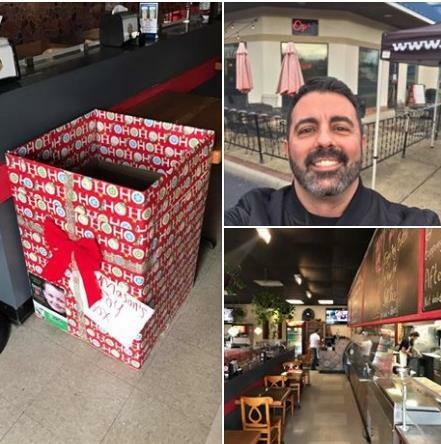 We even left a 2nd box to fill because Anthony agreed to continue the promotion where he agreed to give a free slice of cheese pizza to anyone who donated a toy.